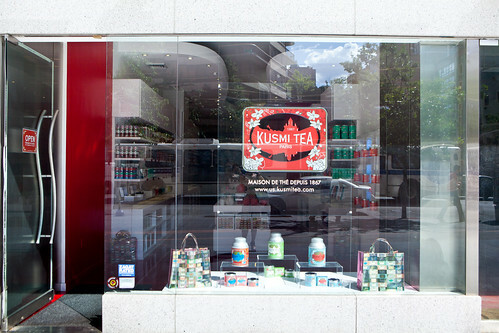 Whether or not you’re aware of it, the 140-year old Parisian based tea brand (who did serve Russian royalty at St. Petersburg prior to moving to Paris in 1917), Kusmi has a New York City boutique in the Upper East Side. And it’s been there for a year. 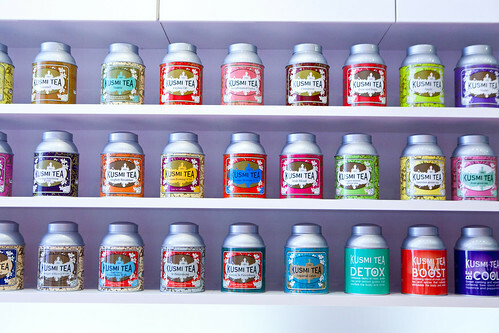 I seen their boutiques in Paris when I visited last year and was intrigued by their streamlined interior and the beautiful teas. 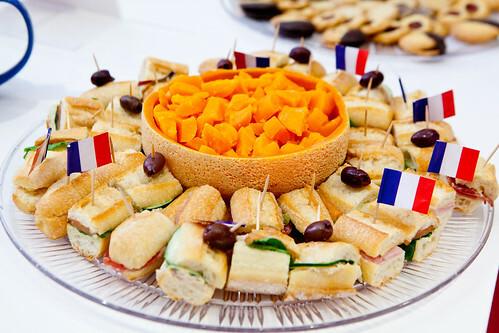 Since it was their 1st anniversary on July 14th, on Bastille Day no less, they invited me to their understated party with delicious sandwiches, butter cookies, some Champagne was passed around, of course, tea. During that time, they were sampling out their new iced tea collection. I was surprised that it has a similar concept of making Japanese iced coffee except it is a lot more user-friendly. 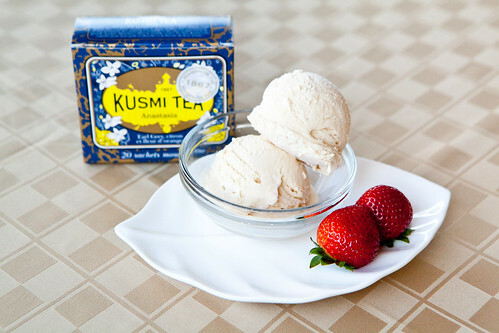 As I have a bunch of amazing Kusmi teas, I thought of creating another batch of Kusmi ice cream. If you followed my Flickr, last year I made Sweet Love ice cream with great success. This year, I wanted to do something more Earl Grey-based tea and made it with their limited edition blend, Anastasia, a tribute to the Grand Duchess Anastasia Romanov, daughter of Czar Nicholas II. 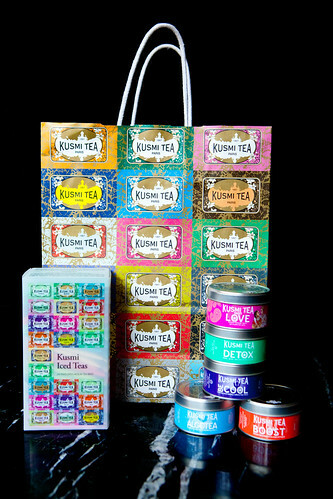 The tea is floral with delicate hints of lemon, orange and bergamot. 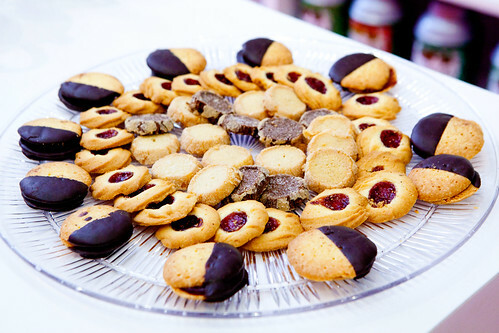 Pour 1 cup of the cream into a medium saucepan and add the sugar and salt. Add the Anastasia tea leaves and warm over medium heat, stirring, until the sugar is dissolved. Remove from the heat and let the tea steep for a minimum of 1 hour (or a maximum of 3 hours, which I did for this batch and yields a great depth of flavor, as the bergamot becomes a bit more pronounced). Add the remaining 1 cup of heavy cream and 1 cup of milk and stir. Chill the mixture thoroughly in the refrigerator. When ready to churn, strain out the tea leaves and discard, and then freeze the mix. Freeze your ice cream maker according to the manufacturer’s instructions.